The trolley is designed to transport probes between the examination room and the desinfection room. 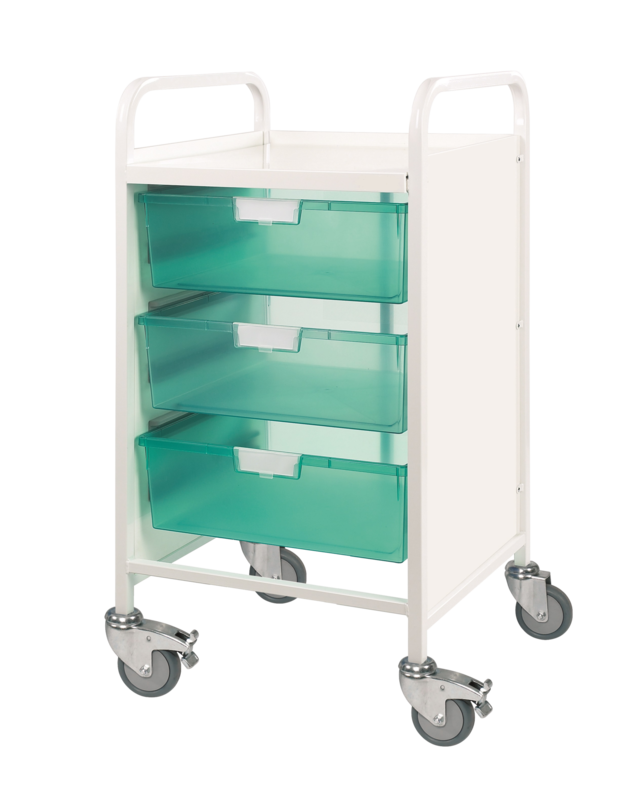 The cart is equipped with three drawers, one for clean probes, one for dirty probes and one for various such as gel, bite protection, wipes etc. The trays can be ordered in different colors. The trolley is also designed for easy cleaning and disinfection. A drop position with holder and detachable tube for transporting dirty and clean probes. The tube protects the probe during transport. The tube and other parts that may come into contact with the probe can be cleaned, disinfected alternatively run in a dish disinfector.